If you are looking for latest business news and financial market updates covered by seasoned finance analyst and economist, MarketWatch websites has it all. On MarketWatch, you will find real-time analysis of Stocks, Retirement Planning, Economic Trend Analysis, Personal Finance and Investing Tips posted by industry experts. 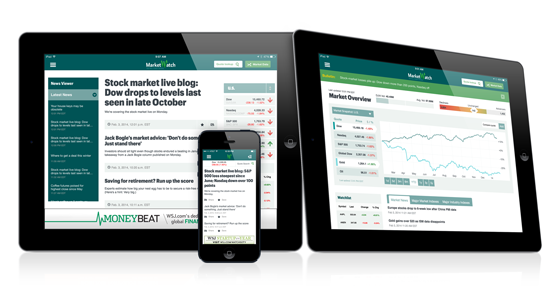 The new MarketWatch mobile application brings the most comprehensive finance news to you anytime anywhere. You can now track the markets in real-time with enhanced charts, global markets news, the latest on technology stocks and trends, insightful and timely commentary and analysis and much more on your smartphone!